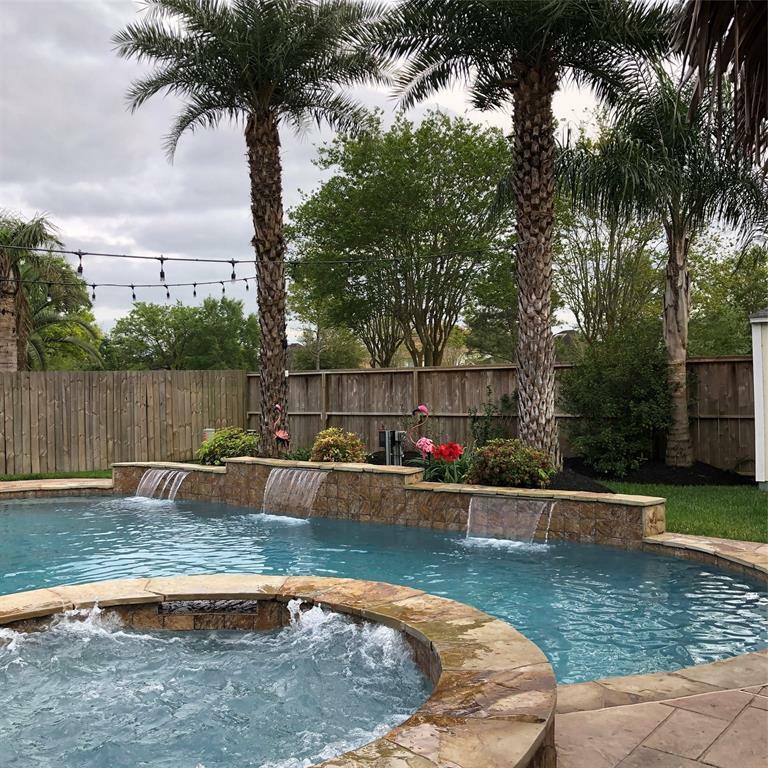 ****OPEN HOUSE SATURDAY ONLY (4/6/19), 1:00PM - 5:00PM****NO FLOODING OR DAMAGE DURING HARVEY! 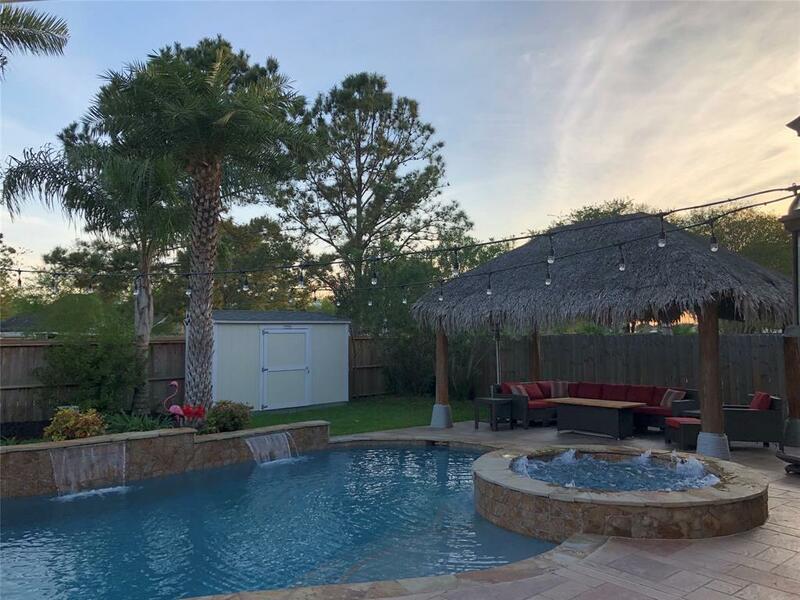 Beautifully updated 4/2.5/2 in Brittany Lakes with no back neighbors! Sitting room and formal dining. Living room open to updated kitchen and breakfast area. Premium tile and hardwood floors throughout (no carpet). Large downstairs Master Suite with large closet and updated bath with walk-in shower and large tub. Access to patio through Master Bedroom French doors. Direct vent fireplace in Living Room. Updated wood stars with iron balusters. Upstairs has 3 bedrooms, updated full bath with double vanities, massive gameroom, and bonus room. 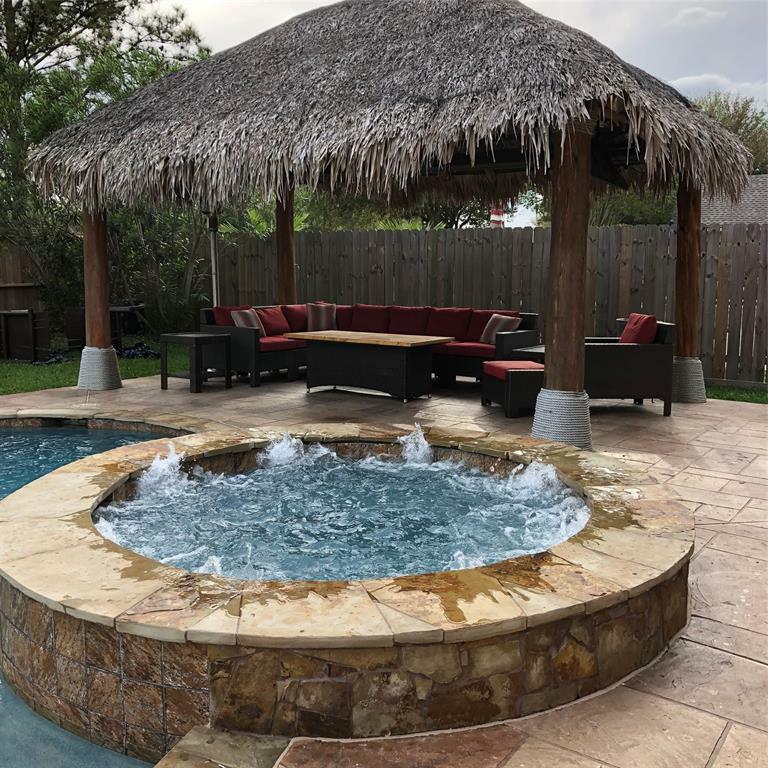 Lush backyard oasis with pool and spa, cool deck patio, huge palapa and Tuff Shed. Custom paved sidewalk offers easy access to front yard. Lots of storage! Home has completely new roof in 2017, two new AC units in 2015, new water heater in 2016. This one will not last long!!! 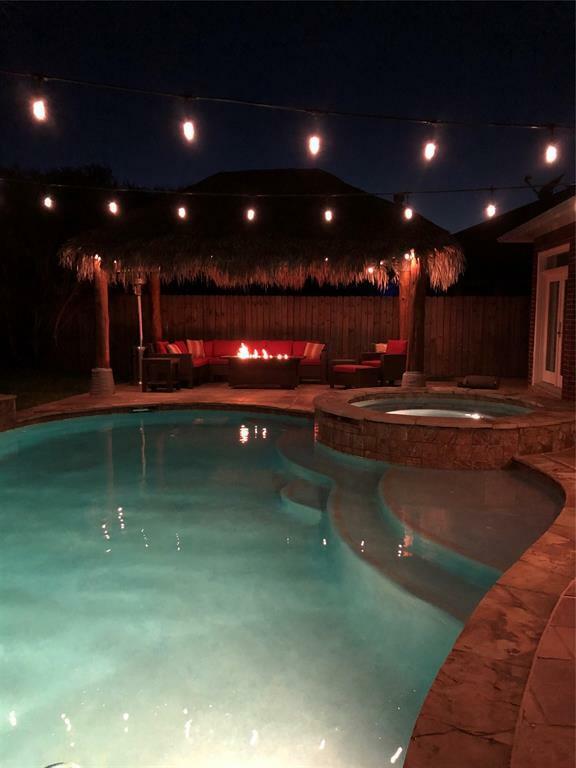 Listing courtesy of Vanessa Johnson.